At least once a week, I meet a woman who is married and unhappy. When we start talking about my first book, “Choose Your Viking,” their eyes dart away and they say in this dreamy voice, “Oh I love that idea. I wish I had married a Viking….” Their voice trails off and they get this faraway look in their eyes as they think about all they would have done differently. 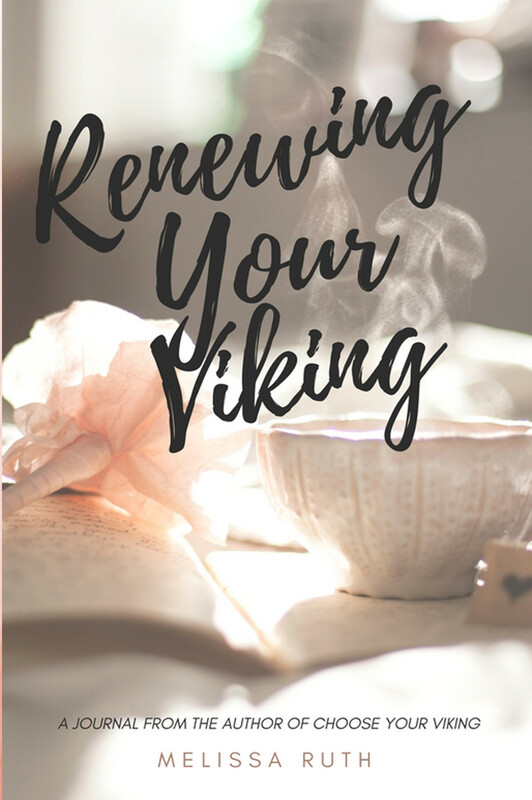 Renewing Your Viking is a journal that attempts to assist those wives in renewing their relationship with their Vikings. Do you know someone who has struggled with their marriage? Do you know someone who always complains about their husband? Truth is, we all go through periods of our marriages where we wonder just what we’ve done to get stuck with “that man.” We struggle to love that man because we find we really just don’t like them anymore. Why is that? Well, there are many reasons…the journal is here to remind you why you married him, to remind him why you married him and to renew your vows between each other as you continue to fight in the battles life brings your way.